A guest house will be constructed in the next financial year at the Kamjong district headquarters, located around 140 km from Imphal. 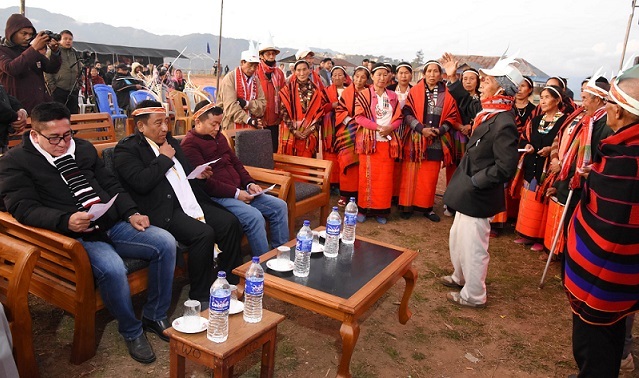 This was promised by Manipur Forest and Environment Minister Thounaojam Shyamkumar while addressing a gathering in the opening function of two-day 2nd Kamjong Festival 2018 at Kamjong Public Ground on Tuesday, according to official reports. been constructed at Ukhrul, Jiribam and Moreh this year . The two-day Kamjong Festival 2018, said to be a plastic-free event, was held to promote tourism in the region. The festival, which concluded on December 4, was organised by the Kamjong Development Committee. the traditional cultural heritage of the people of the area. relationship between the valley and the hills. Shyamkumar asked the villagers to inform about required crops/plants to the officers of the district. Bungpa Khullen along with villagers attended the function.